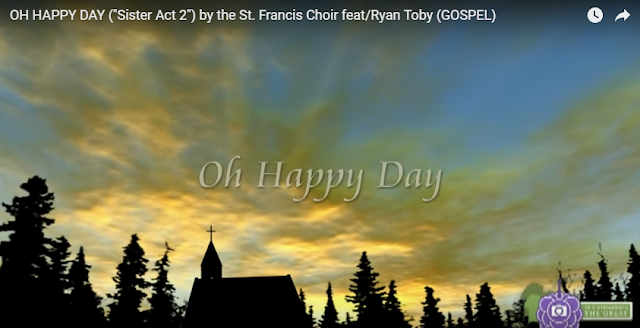 Remember this one – OH HAPPY DAY (“Sister Act 2”) by the St. Francis Choir feat/Ryan Toby? “Oh Happy Day” is a 1967 gospel music arrangement of an 18th-century hymn. Recorded by the Edwin Hawkins Singers, it became an international hit in 1969, reaching No. 4 in the US and No. 2 in both the UK pop charts and Irish Singles Chart. It has since become a gospel music standard. The song has appeared in many movies, beginning with the German film Seventeen and Anxious in 1970, but most notably Whoopi Goldberg's 1993 film Sister Act 2: Back in the Habit, with then-17-year-old Ryan Toby singing lead. The song also appears in Big Momma's House, Nutty Professor II: The Klumps, David LaChapelle's 2005 movie Rize, Robin William's 2007 movie License to Wed., and in 2010 biographical film produced by Walt Disney Pictures: Secretariat. A version was performed and recorded by Spiritualized on their 1998 live album Royal Albert Hall October 10 1997. The world population was around 5,578,865,109. The year 1993 in film involved many significant films, including the blockbuster hits Jurassic Park, The Fugitive and The Firm.